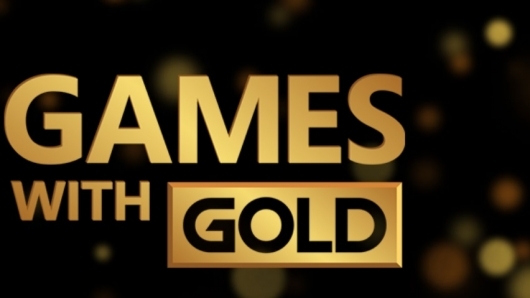 The four free games being offered to Xbox Live Gold members for Games With Gold in June 2018 have been revealed, and you can see what they are below along with information on each of the four titles. The four free games being offered to Xbox Live Gold members for Games With Gold in May 2018 have been revealed, and you can see what they are below along with information on each of the four titles. The four free games being offered to Xbox Live Gold members for Games With Gold in April 2018 have been revealed, and you can see what they are below along with information on each of the four titles. The four free games being offered to Xbox Live Gold members for Games With Gold in March 2018 have been revealed, and you can see what they are below along with information on each of the four titles. The four free games being offered to Xbox Live Gold members for Games With Gold in February 2018 have been revealed, and you can see what they are below along with information on each of the four titles. The four free games being offered to Xbox Live Gold members for Games With Gold in January 2018 have been revealed, and you can see what they are below along with information on each of the four titles. The four free games being offered to Xbox Live Gold members for Games With Gold in December 2017 have been revealed, and you can see what they are below along with information on each of the four titles. The four free games being offered to Xbox Live Gold members for Games With Gold in November 2017 have been revealed, and you can see what they are below along with information on each of the four titles. The four free games being offered to Xbox Live Gold members for Games With Gold in October 2017 have been revealed, and you can see what they are below along with information on each of the four titles. The four free games being offered to Xbox Live Gold members for Games With Gold in September 2017 have been revealed, and you can see what they are below along with information on each of the four titles.